According to the legends, coffee was discovered by a goatherd in the old Ethiopian kingdom of Kaffa, where coffee grows wild in the forest. His name was Kaldis and when he once observed, that his goats started dancing after having eaten some red (coffee) berries, he took a sample of the fruit and brought it to the local priest. Considering it as drugs, the priest threw the plant into the fire, where started developing the well know, lovely smell of roasted coffee beans. Ethiopia is indeed the land of coffee, but it has much more to offer than that: Did you know, that the Ethiopian Orthodox Church is one of the oldest Christian Churches in the world? Are you aware that during the last years, the country was among the fastest growing economies in the world and has attracted considerable foreign investments? 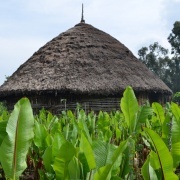 Did you ever try “teff”, a local millet, is considered to be one of the next “super foods”? And did you know that Ethiopia offers everything from 4’000m high mountains, tropical vegetation, lakes, rivers and desert areas below sea level? Despite its ancient culture and beautiful nature: Ethiopia’s real treasure are its people as the country is known for its hospitality. On our trips, you will meet different of those people and get insight in their everyday life. You will try out things, discuss and learn many new aspects. A trip with Inside Travel will touch your heart and change your perception and hopefully will not only leave you with new impressions, but also with new friends. 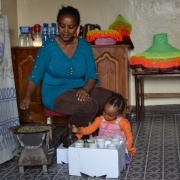 Spend one day in a local family in Addis Ababa and become part of their everyday life. Depending on the family and the weekday, you might go to a market, to church, meet fiends or just enjoy homemade coffee and food. 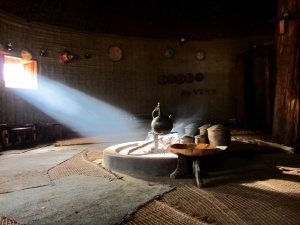 Discover rural Ethiopia and spend a few authentic days in a local village, where the things “just happen”. You can participate or just watch and relax, for example during the harvesting time, in the kitchen or for the work with the animals. Take the challenge of our scavenger hunt in Addis Ababa! Alone or together with one of our culture brokers, solve small tasks, approach local people and have a lot of fun. 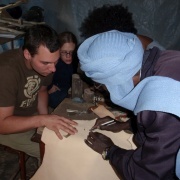 Try out handicrafts yourself: Usually, tourists buy their souvenir in a shop. However, you can produce it yourself and at the same get to know the people who live from this work. Spend one day in an organisation, which works with street children. Learn more about what it means to live on the street and what can be done to improve the kids’ life. Ask questions, discuss and participate in the programme of the organisation. Inside Travel offers group trips for groups from around 6 to 12 people. Group trips are usually accompanied by a representative of Inside Travel in Switzerland. If you prefer to travel on your own rhythm or with people you already know, you have the possibility to put together your own trip. Contact us and let us know what you are looking for, so that we can put together a tailor made trip for you. Preparation: We will help you step by step to prepare your trip with written material but also more personalized advice through email, on the phone or in a personal meeting (especially for group trips). Flight: You can book your flight through our partner in Addis Ababa and enjoy all advantages of support of a travel agency. However, if you are looking for the cheapest offers, you can also book the flight yourself on one of the internet platforms and just let us organise your trip from Bole Airport in Addis Ababa. Take into consideration, that you have a considerable discount on national flights, if you fly to Addis Ababa with Ethiopian Airlines. Visa: Most people can get their visa on arrival at Bole Airport in Ethiopia. This is simple and works fine (if there are many planes arriving at the same time, you might have to consider some waiting time). However, you can also obtain your visa from the Ethiopian Embassy in Geneva. Please find here all instructions for the visa application. Link: http://www.ethiopianmission.ch/visa-services/. In both cases, your passport has to be valid for at least 3 more months (counted from the entry date). Safety and security: Ethiopia is usually considered to be a rather safe country. It is for example possible for tourists to walk alone on the streets in the capital in Addis Ababa. There are some regions, which are not safe but our trips do not visit these places. Like everywhere, there are of course certain risks. We base our decisions on the recommendations of the Swiss Ministry for Foreign Affairs (https://www.eda.admin.ch/eda/de/home/vertretungen-und-reisehinweise/aethiopien/reisehinweise-fueraethiopien.html) and constantly observe the situation together with our partners in Ethiopia. If you have any questions or doubts, don’t hesitate to contact us. Medical preparation: We strongly recommend seeing your GP around 2-3 months before your trip in order to check you need to refresh some vaccinations. Many of the places we visit during our trip are higher than 2000 m above sea level and therefore considered malaria-free. In other places, chemo-prophylaxis against malaria might be recommended. Packing: We will help you with putting together everything you need in your luggage depending on the nature of you trip and the season in which you travel. Anyhow, bear in mind that many regions in Ethiopia, despite the fact that the country is close to the equator, are more that 2000m above sea level. The climate is therefore moderate and not the way you might imagine “classic” African landscapes.